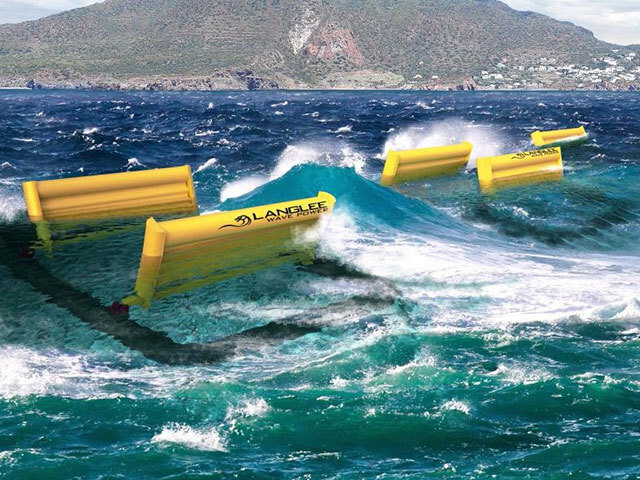 Politicians must develop a long-term strategy to create a commercial wave energy device to secure the future of wave power in the UK, researchers have said. A report found despite almost £200 million of public funds being invested in wave energy innovation nationwide since 2000, the technology “remains some distance away from commercialisation”. The research by University of Strathclyde and Imperial College London examines the extent to which the failure to develop market-ready wave energy devices can be attributed to weaknesses in government and industry support for marine power. They found key factors slowing development included poor understanding of the scale of the challenge, premature emphasis on array-scale commercialisation and a lack of test facilities. Rapidly changing, poorly co-ordinated policies and a lack of knowledge exchange between technology developers is also blamed. Researchers found the public sector has made an effort to learn from these mistakes, particularly the Scottish Government, which has redesigned its research, design and development programmes, created new networks for sharing information and developed “world-class” test stations. The report indicates these changes mean the UK is now better-placed to create a commercial wave power device but this is under threat from Brexit’s predicted impact on funding and collaboration. Consequently, one of the 10 policy recommendations it makes is for Scotland to develop a long-term wave power strategy focused on creating a single commercially-viable device which is resilient to funding any EU and UK withdrawal. Further recommendations include retaining access to EU funding post-Brexit, improving co-ordination on research and development support within and across government, and avoiding having to compete for subsidies with other renewables. Hannah Smith, senior policy manager at Scottish Renewables, called on government to “provide a viable mechanism to ensure the sector’s continued development”, adding failure to do so “would risk losing Scotland’s lead in this global industry”. She repeated the charity’s call for the Scottish Government’s energy strategy to ensure half of all Scotland’s energy needs come from renewables. A spokesman for the UK Department for Business, Energy and Industrial Strategy said: “The UK Government is a leader in providing support for renewable technologies and has committed up to £557 million for further clean electricity auctions. “Wave and tidal stream technologies could participate in the latest auction, but we didn’t ring-fence budget for them at the expense of other, potentially less expensive technologies. This meant we brought forward over 3GW of clean electricity while ensuring the best value for money for consumers.